Dag Erik Knedal Andersen (drums). Full blast energy free jazz. Musicians from bands such as Zanussi 5, Cortex, AKODE and SAKA. 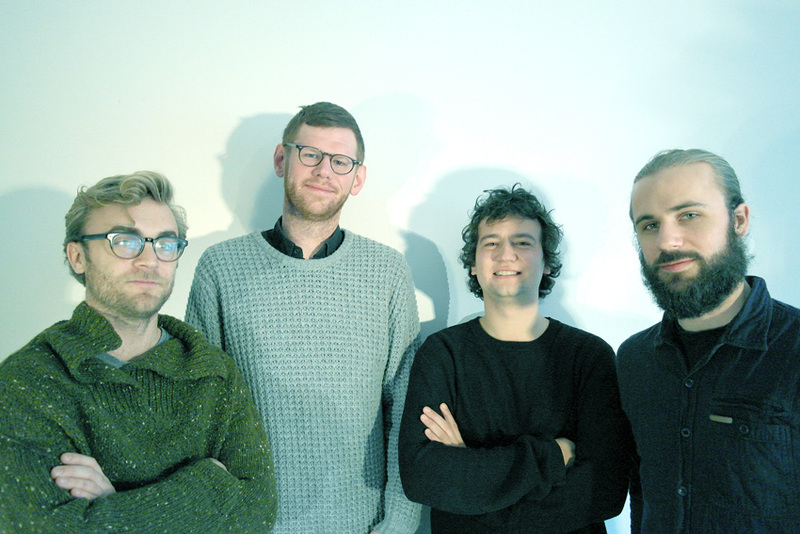 This quartet consists of some of the finest improvisers Norway has to offer. Rooted in the European and Scandinavian style of playing improvised music, they take on their own approach to the music which best can be described as a spontaneous and energetic mixture of abstract time playing combined with telepathic interplay and rapid texture changes. All players in the band have backgrounds from the prestigious jazz department at Trondheim Conservatory of Music. Saxophonist Jørgen Mathisen, was introduced to music through his father, also a saxophonist. Groving up in Oslo, Mathisen as a child started studying classical clarinet. By the age of fourteen he had moved his way over to the tenor saxophone and was attending jam sessions and performing wherever he could. Mathisen has the last decade been an integral part of the acclaimed Trondheim Jazz Orchestra, as well as performing with other well-known Norwegian groups including The Core, Zanussi 5 and Instant Light. Mathisen has for the past years made several appearances with his solo project, discovering the acoustic possibilities of the tenor and soprano saxophone. Kristoffer Alberts, also saxophones and a native of Oslo, has in the last couple of years established himself as on of the very top players on the Norwegian jazz and improvised music scene. Originally inspired by the likes of Roscoe Mitchell, Jan Garbarek, John Butcher and Archie Shepp, Alberts style of playing has developed into something very much his own thing. He is an integral part of the critically acclaimed bands as Cortex and SAKA. Bassist Ola Høyer, like many of the erudite new generation of Norwegian musicians, is equally at home in jazz, alternative rock and minimalism. What he brings to free improvisation is an acute musicality and an unfettered approach that is making him increasingly in demand. He performs with different bands such as Cortex, Moon Relay and AKODE as well as leading his own band, The Heat Death, with prominent Scandinavian improvisers such as Martin Küchen and Mats Äleklint. Dag Erik Knedal Andersen is the wild card whose flamboyant, hyperactive, take-no-prisoners approach to drumming place him somewhere between Paul Lovens and Han Bennink. He is an ubiquitous part of the Oslo and Norwegian improvised music scene, performing in bands such as AKODE, SAKA, The Heat Death, Møster/Edwards/Knedal Andersen and Instant Light.